As part of the Engineering for People Design Challenge, our team competed with 35 student teams from around the UK and Ireland to London at the 6th annual Engineering for People Design Challenge Grand Finals. 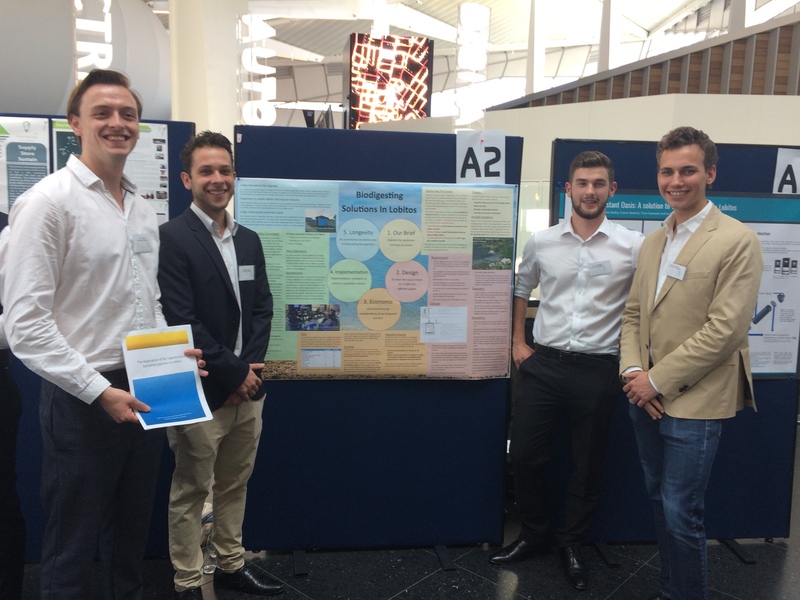 The team (Thomas Morgan, Samuel Honeker, Stephan Freer and Harry Sayannos) presented their design solution to a panel of judges from a number of organisations including this year’s Engineering for People Design Challenge partner, EcoSwell, the Engineering Council, the Engineering Professors’ Council, the Institute of Highways Engineers, Anglo American and DfiD. The finals took place in one of the world’s most sustainable buildings, Siemens’ Crystal in London on the 19th June.